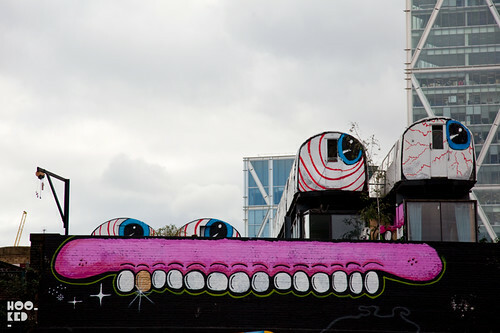 We posted some photos last week of London artist Sweet Toof working on a huge roller piece on the side of the Village Underground space on Great Eastern street in East London. At the time the other artists contributing to the wall had only painted outlines when we snapped the Sweet Toof section. 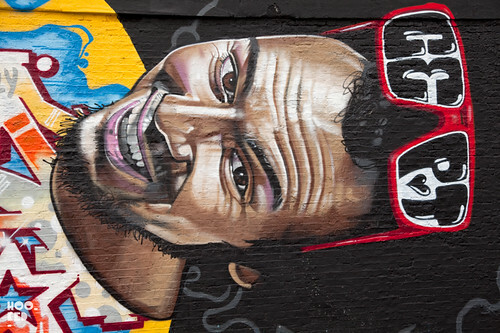 We have since been back to visit the finished Village Underground wall to photograph the additional work. The main Canarian character was painted by Sabotaje Al Montaje with BRK 192 providing the t-shirt letters/ graphics and the piece finished off by the addition of some CEPT sunglasses. 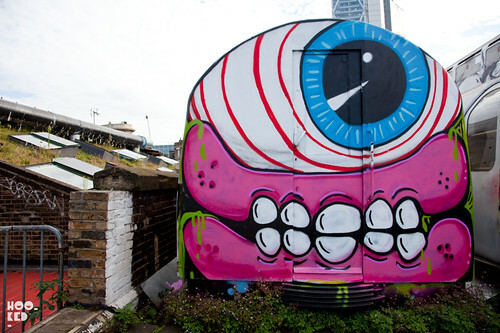 The Sweet Toof roller piece has also been finished with some outlines and the addition of some train carriage eyes courtesy of Paul Insect. 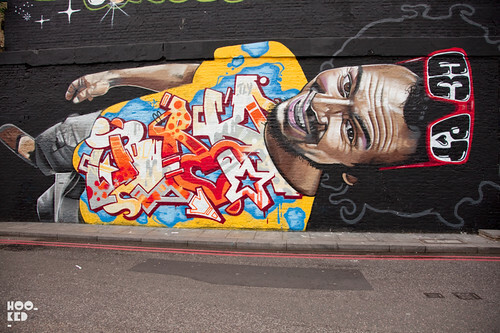 The wall is still up and we suggest you get down in person for a look before it get's painted over. Really their latest works do lack substance, Pathetic really.